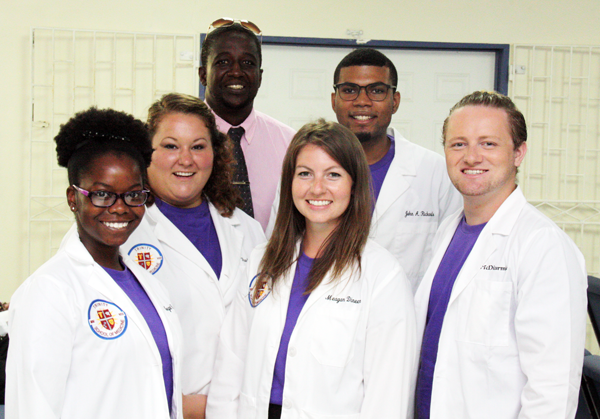 Last week, Trinity School of Medicine held the white coat ceremony for its May 2018 students at the school's campus in St. Vincent & the Grenadines. The white coat ceremony, a tradition started at the University of Chicago 30 years ago that has since spread across the United States and Canada, is an induction into medical professional schools. As it effectively celebrates admission into medical school and it book-ends the experience with a student's eventual graduation, the white coat ceremony is an exciting day for all involved. 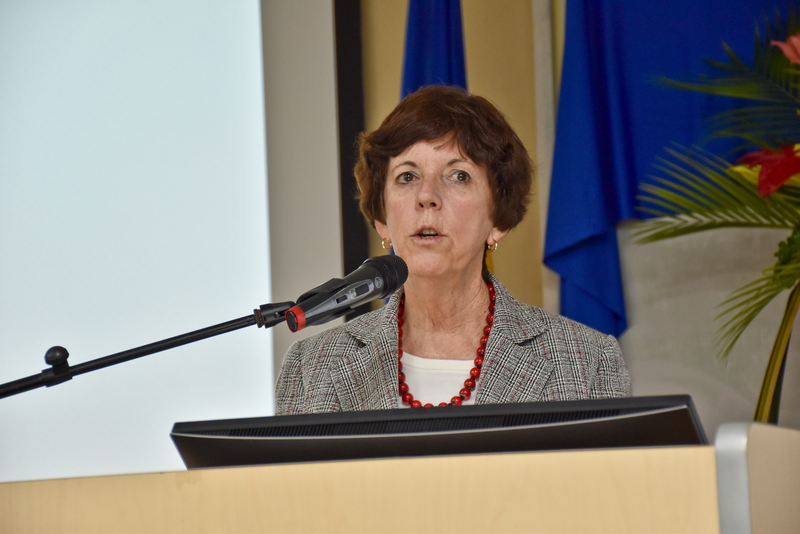 Guests to the day's event included Sir Frederick Ballantyne, Governor General of St. Vincent; Hon. Luke Browne, Minister of Health, Wellness and the Environment; members of the Trinity board of directors, faculty, and staff, as well as families and friends of the incoming class. Read on to see photos, hear about speakers, and learn what you can expect at your own white coat ceremony. 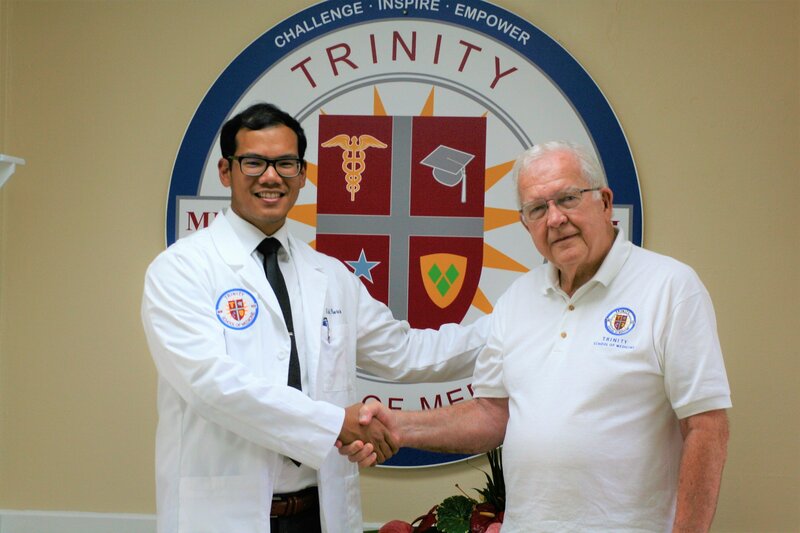 Last week, first term student Eric Pierce was named Trinity School of Medicine's Chancellor’s Scholarship recipient for the September 2017 class. For some context, the Chancellor's Scholarship is a merit based award open to select recipients of Trinity's Physician, Dean, and President awards. Candidates meeting the academic criteria are invited to write on a topic selected by the faculty. The winner's award ($2,000, $2,500, or $3,000 per term, depending on their initial scholarship), is increased to $5,000 per term. In total, this one scholarship covers nearly 40% of of Trinity's total tuition for the recipient. We spoke with Eric and Dr. Skelton to discuss the selection process, the sense of responsibility that comes with winning, and what that means for Trinity students and faculty alike. 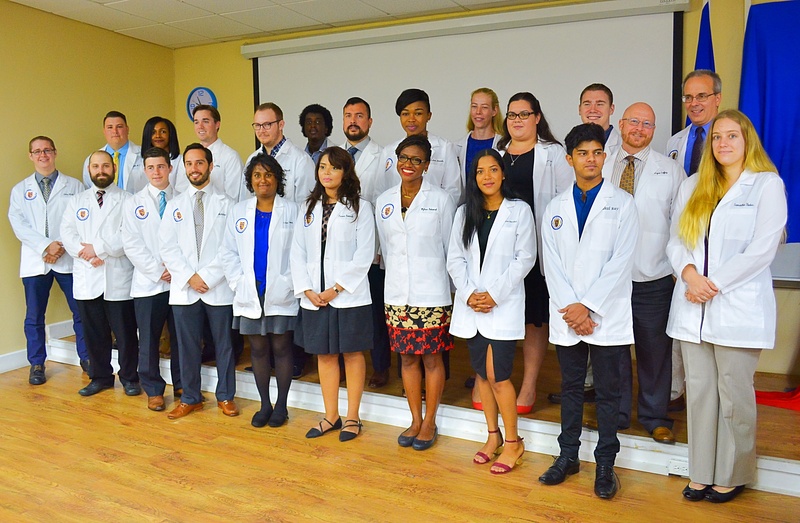 This Saturday, September 2nd, Trinity's largest class to date formally became a part of the student body of Trinity School of Medicine at a ceremony held at the nearby Faith Temple Church. 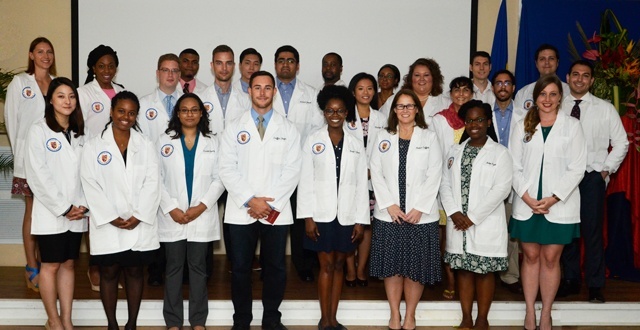 The Trinity School of Medicine 2017 May-term white coat ceremony was held on campus last week. Guests included the Governor General, His Excellency Sir Frederick Ballantyne, members of Trinity’s board of trustees, family and friends of the newly matriculated medical students, and faculty and staff.